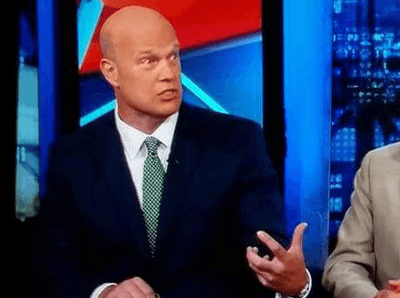 Is Matt Whitaker, the New US Attorney General, a Bitcoiner? After scoring two big wins following the mid-term election of crypto friendly Governors in California and Colorado, this space may now count a third. Matt Whitaker, the new acting attorney general. According to Mati Greenspan, Senior Market Analyst at eToro, Whitaker has made two friendly tweets regarding bitcoin, one of them as early as 2012. We can not verify the tweets because Whitaker has now locked them away from the public. The Internet Archive moreover only goes back as far as 2016, showing he has made no mention of bitcoin, blockchain or crypto for the past two years. Matt Whitaker an early bitcoiner? November 2018. In 2012, however, if the above purported screenshots are legitimate, Whitaker linked to a pretty fine article by Reuters. “Unlike conventional fiat money and other digital currencies, Bitcoin runs through a peer-to-peer network, independent of central control. Bitcoins are currently worth $4.88 each on online currency exchanges, where they can be bought and sold for about 15 world currencies. ‘There is always a power base underlying a currency,’ he said, speaking at the Digital Money Forum in London in March. Workers at Morgan Stanley and Goldman Sachs in London and New York have been visiting online Bitcoin exchanges as often as 30 times a day, according to documents seen by Reuters. Neither bank wanted to comment. Difficult as it may be to tell whether a factual report is friendly or otherwise, there is little doubt that the above article is not unfriendly. The reporter, and the choice of facts reported, is at best neutral and comes across as somewhat even excited. Whitaker choosing this particular article suggests some curiosity at worst, but more likely an active interest or a favorable view on bitcoin. That’s made fairly close to certain by the second bitcoin related tweet he made in 2013. The title of the shared article suggests he was effectively advocating bitcoin. They make this distinction between legal tender – a legal term that means you have to accept a currency for payments of debts – and private or semi-contractual agreements where people voluntarily decide whether to accept something or otherwise. Much can fit within the latter, but constitutionally only gold is legal tender. That constitution has practically been subverted following a long battle between the government and the judiciary more than a century ago. The latter lost, so now fiat paper printed at will is practically legal tender, although not technically. Meaning one can imagine Whitaker, as a lawyer, was interested in these finer legal points. Yet taken holistically and in context, it looks very likely that Whitaker is a bitcoiner and probably holds some crypto.